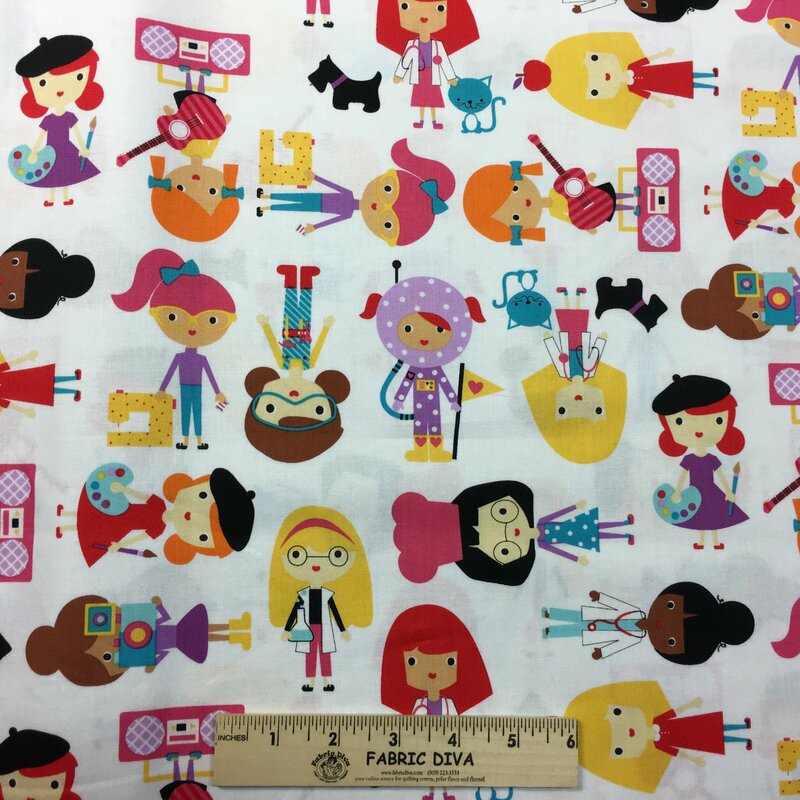 Girlfriends by Ann Kelle for Robert Kaufman Fabrics. This cotton print fabric is perfect for quilting, apparel and home decor accents. Colors include red, orange, pink, black, yellow, green, purple, tan and brown. See our idea page to look at the pillowcase we made from this fabric.